A black eye is bruising in the eye area that first appears black or deep purple then changes to a bluish or reddish then, finally, yellowish-green color, as it heals. Trauma to the delicate, highly vascular area causes a black eye. The bruising is a result of ruptures in the small blood vessels beneath the skin. According to the Mayo Clinic, elderly people and women tend to bruise more easily than men. Thus, they would be more likely to develop a "shiner" after experiencing an ocular injury. Review the events of your previous day. 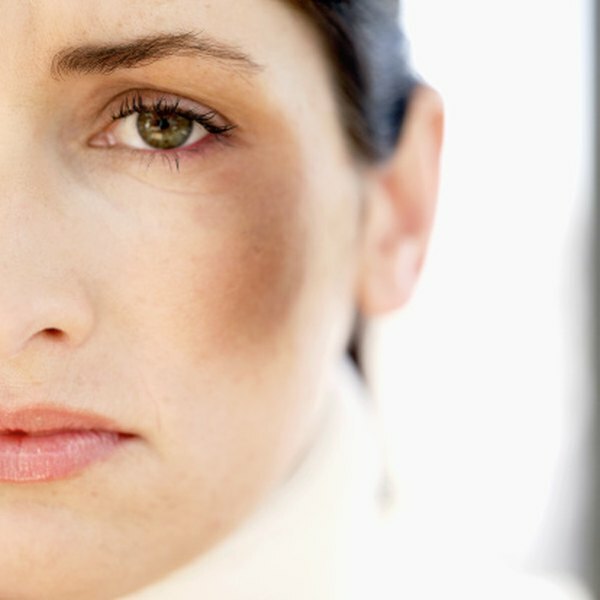 If you experienced an injury to your eye area, you may develop a black eye. If you had oral surgery, especially on your upper teeth, then there's a chance that bruising could begin to appear on your upper cheek and/or eye area the following day. Certain facial cosmetic surgery procedures may also produce eye area discoloration. Examine your face in a mirror. If your eye is red or swollen, chances are that a black eye will form. Before bruising occurs, the skin around the eye typically will redden and swell. If your eye area is red or swollen, put ice on it and call your doctor. Determine whether or not you feel pain around your eye. If a black eye is about to develop, you usually will feel pain in the area. Open and close the eye in question a few times and compare how it feels with how your other eye feels when performing this same movement. If you feel pain or have difficulty doing this, a black eye may be forming.